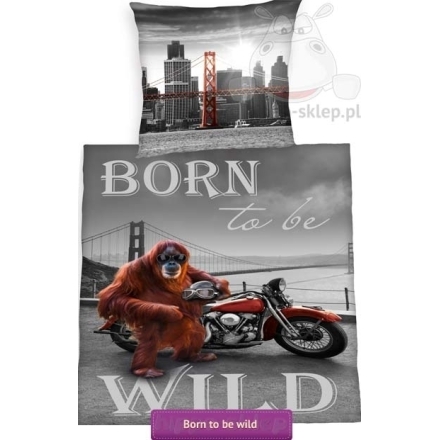 Bedding Born to be wild for teenagers and adults with comical paraphrasing sentences “Born to be wild”. 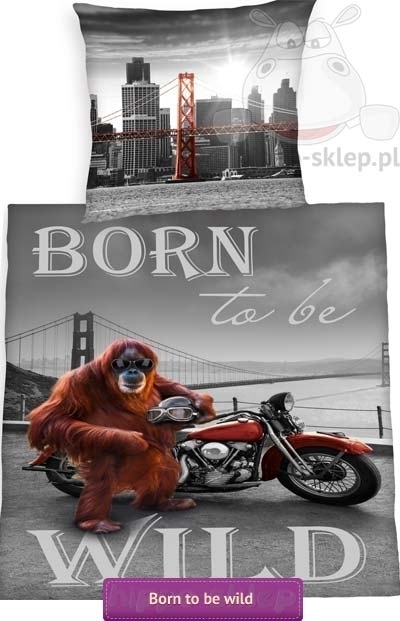 Teenagers / young bedding set in grey shadows with Orangutan in sunglasses close to Harley. 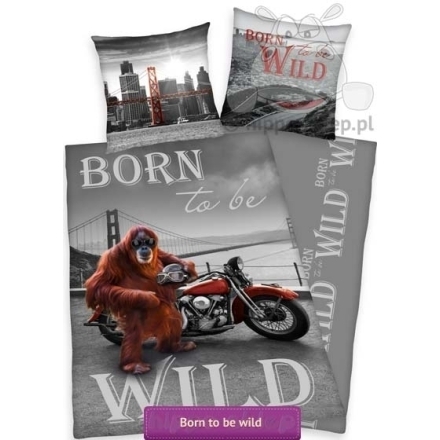 Teenagers bedding in white grey and black with some elements in Golden Gate Bridge Orange colour. 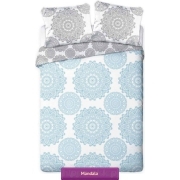 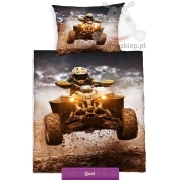 Young bedding 2-pieces set with duvet cover size 140x200 cm or 135x200 cm and one pillowcase size 70x80 cm depending on selected options. 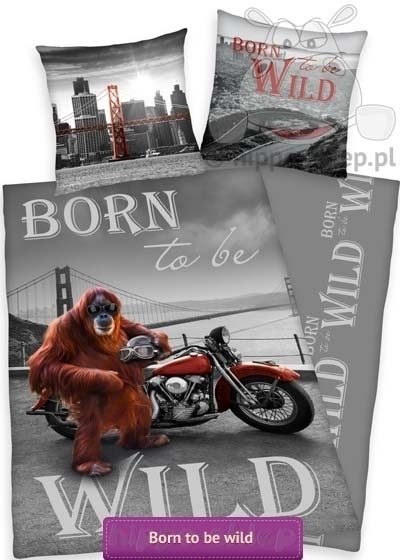 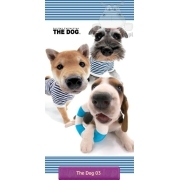 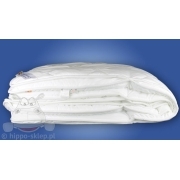 Bedding Born to be wild made from 100% cotton, according to OEKO-TEX Standard 100. 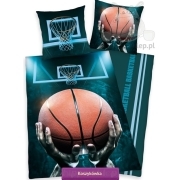 Great idea as a supplement the teenager bedroom decorated in the grey colours.